I try quite hard to have no expectations of the books I read. Even if I have enjoyed an author’s work before there is no guarantee I will do so the next time and sometimes I disagree with even my favourite reviewers. 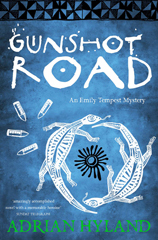 But I admit to tingling with anticipation when notified by the bookseller that my pre-order of Gunshot Road had left the warehouse and was on its way to me. I read it as the last book in my Aussie Author Challenge for this year. I read, and loved, Adrian Hyland’s first novel featuring Emily Tempest, Diamond Dove (a.k.a Moonlight Downs in the US) last year. 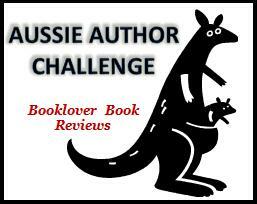 This entry was posted in Adrian Hyland (Aus), Aussie Authors Challenge 2010, Australia, book review. Bookmark the permalink. Bernadette – What a lovely review! As though I weren’t already very, very eager to read this one…. Thanks for whetting my appetite even more : ). Great review, Bernadette. Like you, I was bowled over by this book. The combination of toughness and poetry, of plot and “feel the baking heat” atmosphere, the science jokes, the insights into human nature, the sheer emotion of it all – I adored it. Thanks for a wonderful review. Bernadette, thanks for alerting me to this book. I will check it out immediately. This looks really good…I like how you describe it all. To me, and I’m not sure why, but it seems like men often write women better than women! I’ll look for this title! This looks like a series to be added to my TBR. Great review. Emily sounds like a very interesting main character. Okay, this is such a good review that I’m tempted to put down “Truth,” which I’m in the midst of reading, and pick up “Gunshot Road,” which is my next book, sitting on the TBR pile. To be self-disciplined or not–that is the question. And I now think I should read it quickly so I can pass it on so others can enjoy it. This sounds amazing. I am also thrilled to find a blogger reviewing Australian literature! A budding writer myself, I have just started exploring local talent. My forays have been mostly into fantasy so far, but just from reading your last few posts, I have a lot more to look forward to. P.S. I adore your rating scale! I thought you would love this book! I am reading this book slowly, savoring every sentence. Hyland obviously thought about every sentence and word. Every paragraph is carefully crafted. I try to rush through books but not this one. I am taking it slowly, like a delicious dessert, tasting every bite, as I smile often and laugh frequently. I wish every writer took as much care with the writing instead of rushing through a plot. This is a book that transcends the genre. I was trying not to add more books to my wish list during a couple of months. Wishful thinking. I must read this one. Yes; there is the post-good-book syndrome. I actually had it after finishing “The Girl Who Kicked the Hornets’ Nest,” but read a light, witty book and then picked up “Truth,” and now “Gunshot Road.” And I’ll suffer from it when I’m finished with that so have to plan the next books. I actually live and work in the Australian Outback with Aboriginal people (I’m an anthropologist). I can tell you that Adrian Hyland’s books are simply the best fiction representations I’ve ever seen of Outback Australia, Aboriginal people and what life is really like. Gunshot Road is a dozen little towns that I could think of, and its characters are people I know and work with every day. Read this book if you’ve EVER wanted an adventure in the Outback but just couldn’t make it… yet. I’ve just reserved both books in the series at my local library. Thanks! I hope you like them shelleyrae, I would definitely read them in order if you can.